F&I employees are a top driver dealership customer satisfaction, only following sales personnel, according to the 2017 Car Buyer Journey from Cox Automotive. But F&I personnel have room for improvement when it comes to providing a top-notch customer experience. According to the study, when respondents were asked to rate their satisfaction, 79% of car buyers gave the test-driving process a high rating. However, satisfaction declined to 64% when interactions with the F&I department were factored in. The F&I department is critical to the overall success of your dealership. As consumers increasingly walk into dealerships armed with more information than ever before, this leaves dealership sales teams much less room for negotiation, and results in smaller profit margins. Due to these decreased profit margins, dealerships are increasingly relying on F&I revenue through financing, insurance and other added services. Given the growing importance of F&I revenue, how can your dealership prioritize customer experience and turn your F&I department into a profit center? We’ve pulled together some tips below. Up until a few decades ago, the F&I sales process often involved a lengthy pitch, which left customers frustrated and feeling like they’re being sold to, rather than F&I employees truly understanding their needs. But now, gone are the days when car buyers spend a whole Saturday in the dealership. Rather, your customers want to walk in, quickly make a purchase, and go on with their day. 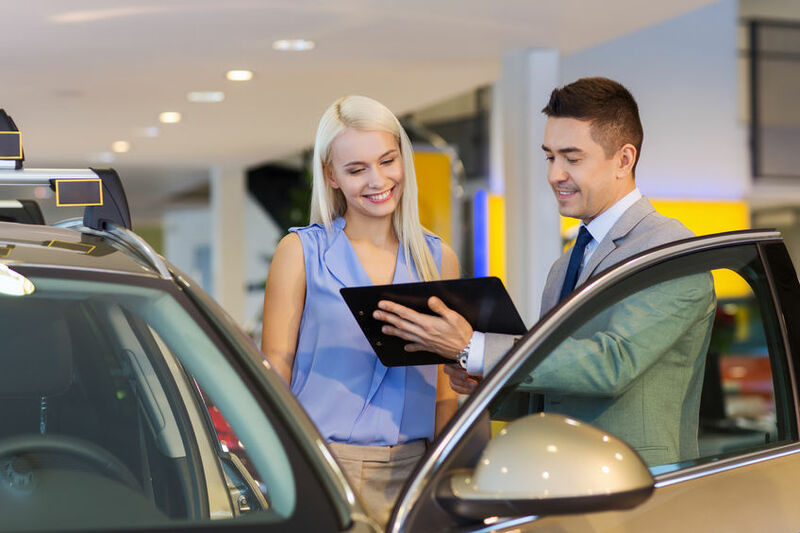 To speed up the buying process and increase customer satisfaction, dealerships started turning to F&I menus in the early 1990s and today, most dealerships have embraced the concept. F&I menus typically offer car buyers between four and eight options and ensure every customer is presented every product in a consistent and timely manner. By offering an F&I menu, customers can make quick, informed decisions about a dealership’s products and services, helping to boost F&I revenue without added sales pressure. F&I menus also help dealership more effectively track F&I managers’ performance and maintain compliance. Faced with meeting revenue goals, boosting customer satisfaction and maintaining compliance, many F&I managers end up being overworked and facing burnout – posing a risk for turnover. To address this risk, at least one dealership has a solution – and, surprisingly, it involves decreased compensation for F&I staff. Southwest Kia in Mesquite, Texas recently reworked its pay structure to switch from an all-commission pay plan for finance managers to salary plus bonuses – similar to the base pay plus bonus plan many AutoNation and other dealerships across the country have adopted for sales roles. With the new pay plan, finance managers now typically make $7,000 to $8,000 a month instead of the $12,000 or $13,000 a month previously paid in those positions – depending on commission. But the base pay plus bonus plan allows for more time off, and productivity has increased as a result of a better work-life balance. Dealerships implementing new pay structures can build better relationships – and increase customer satisfaction – because employees will be more engaged and focused on customer needs, rather than feeling the pressure to sell more and make high commissions. Instead of working 80 hours a week on a commission-based plan, F&I managers at Southwest Kia now work an average of 40-45 hours per week. While Southwest Kia has seen some turnover from the compensation plan switch, they have seized it as an opportunity to promote top employees who have embraced the plan. Your dealership can embrace a similar plan to create better work-life balance, and encourage F&I employees to better focus on the needs of individual customers. Beyond updating pay plans, some dealerships have reworked the people side of the business even further by creating a new, blended role. To help customers get out the door quickly, dealerships are now opting for combining the sales and F&I parts of the business. While it takes a fair amount of training up front and requires the right employee who is likely to succeed in the role, combining the two is beneficial in many ways. It not only helps slash the time car buyers spend completing the purchase, but it also increases brand trust and customer satisfaction, because car buyers can build a relationship with one employee for the entire process – rather than being handed off from sales to F&I. As the Cox Automotive study found, overall customer satisfaction dropped when interactions with the F&I department were factored in. But unless you ask customers for feedback directly, you likely won’t have any way of knowing this information. At your dealership, you should regularly collect customer feedback to ensure each department is doing its best to foster a positive experience. Post-purchase, make it a habit to reach out to customers, let them know their business is appreciated and feedback is valued. Leave printed cards at your dealership’s front desk for customers to complete on their way out the door. Or reach out via email a few days or weeks after the purchase to ask customers about their experience as a whole and their experience with your employees. If you do receive negative or constructive feedback about the F&I experience – or any other part of the customer experience – you can use it as an opportunity to improve operations at your dealership.